SALT LAKE CITY, Jan. 16, 2017 /PRNewswire/ -- Boart Longyear (www.BoartLongyear.com) is participating in the Mineral Exploration Roundup 2017 (AME-BC), January 23 to 26 in Vancouver, British Columbia, at booth 410. "We pride ourselves in delivering drilling services and products and equipment that are backed with our more than 125 years of industry expertise," said Mark Irwin, Senior Vice President, Chief Commercial Officer. "During AME-BC, we're looking forward to talking about our key drilling services including sonic, coring (surface and underground), production drilling, and reverse circulation, as well as our latest innovative products like TruCoreTM core orientation." Sonic: Our sonic rigs and crews can reach depths of over 700 feet (213 meters) with minimal environmental impact. Sonic drilling offers several advantages over conventional drilling, such as speed, risk minimization, flexibility and superior well construction. Underground Coring: Offering a diverse fleet of rigs and mobile platforms makes it easier for our crews to move safely from site to site. Our drillers have expertise that can accommodate projects ranging from small hole to over 1,300 meter angle and vertical hole projects. We also offer directional drilling and specialty services. Surface Coring: With a complete range of core sizes, from BQ™ to PQ and larger, and our diverse fleet, our certified crews can reach depths exceeding 10,000 feet (3,048 meters). Production: We provide production services with cable bolt drilling, long-hole drill and blast, and more. Our drilling service teams are dedicated to delivering safe, fast and effective production drilling by using pneumatic/hydraulic down-the-hole or top hammer methods. Reverse Circulation: Our diverse fleet of reverse circulation rigs includes various sizes, depth capacities (up to 4,000 feet or 1,219 meters), and mounting and winterization options. TruCoreTM: TruCore is the easiest-to-use electronic core orientation system on the market and is built from the highest-quality steel, for increased drill string reliability. Sonic Drill Rigs: The LS™250 MiniSonic™ and the larger LS™600 both feature patented technology and offer all the benefits of sonic drilling over conventional or auger drilling. Sonic Performance Tooling: Boart Longyear will showcase its full line of sonic performance tooling, including bits, casing shoes, core barrels, rods, casing and accessories. 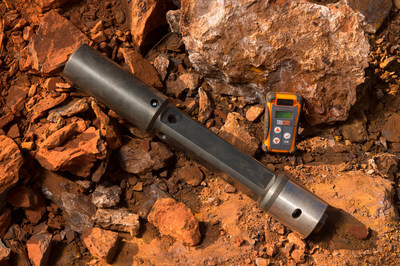 Diamond Products: Boart Longyear's diamond products are designed for a wide range of drilling needs and include bits, casing shoes, reaming shells, specialty bits and accessories. Since the 1930s, Boart Longyear has continued to offer the highest-quality and most-innovative diamond products in the industry.